Angora rabbits make excellent pets for spinners. One Angora rabbit can produce as much as 400g of wool per year and as it is spun fine and at high twist, a little Angora goes a long way. 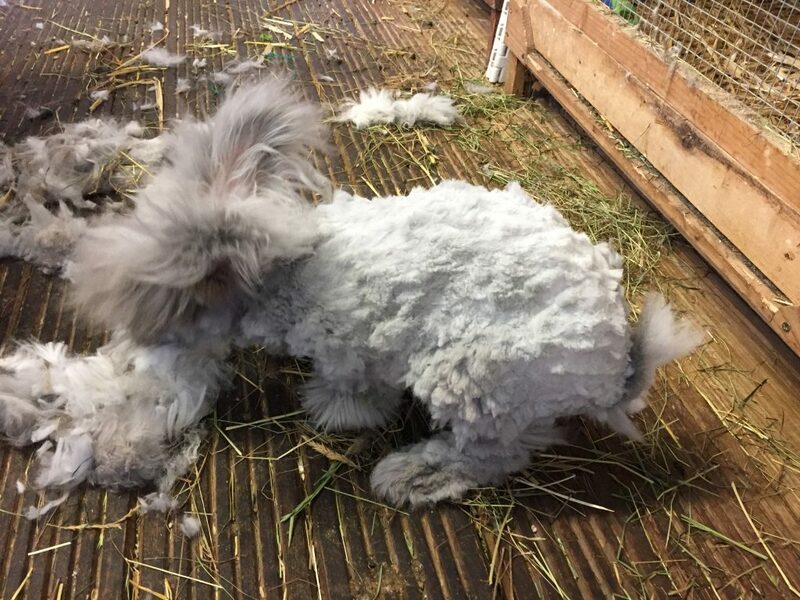 An exhibition Angora rabbit will be excellent for wool, but breeders will often let a rabbit with a minor defect making it unsuitable for exhibition or breeding (for example a white foot in a coloured rabbit) go to a good wool home for a lower price. Be wary of rescue Angoras if you wish to spin the coat. Many “Angoras” in rescue are not true Angoras, but crossbreeds, Cashmere lops or Lionheads, with coats unsuitable for spinnng. If you would like to take an Angora from a rescue, take an experienced Angora person with you to help you choose. Remember Angoras do NOT have lop ears. Again contact the National Angora Club and find a reputable local breeder. Posted 05/03/2018 by SM & filed under Angora Welfare, Wool Products.